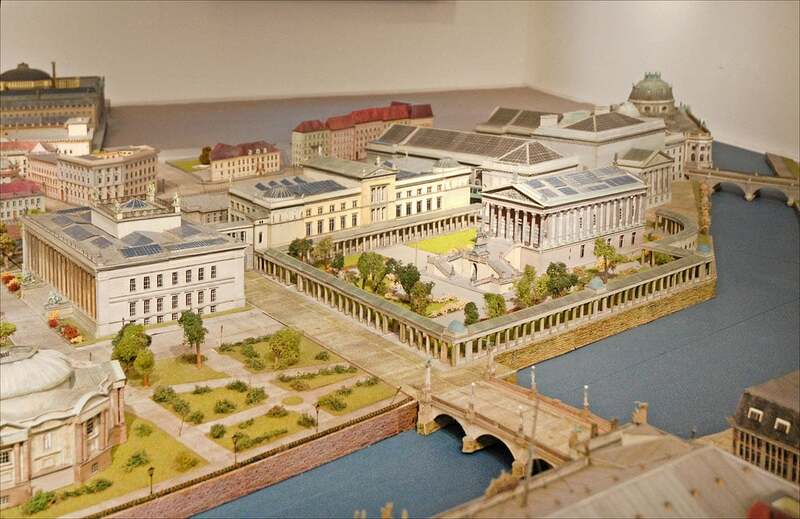 The Alte Nationalgalerie (Old National Gallery) in Berlin is the most important museum of 19th-century art in Germany. 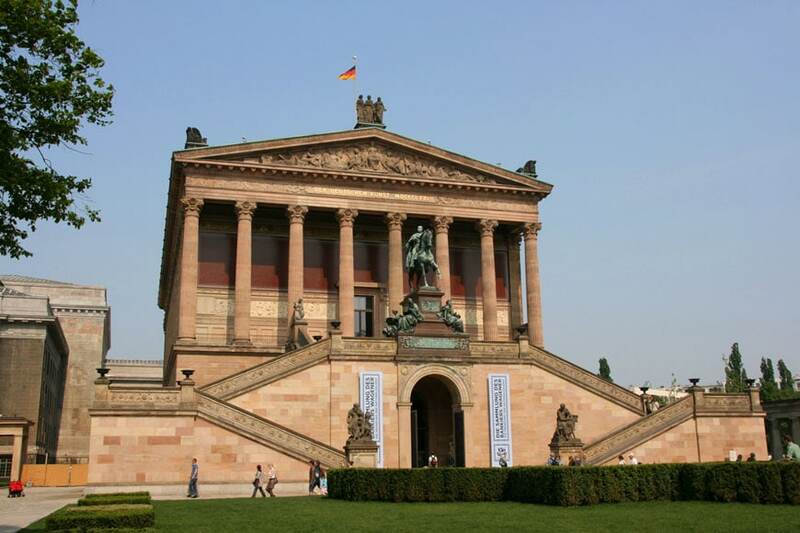 Opened to the public in 1876, the building of the museum originally was the home of the Nationalgalerie, the institution that today administrates the Alte Nationalgalerie, together with other 5 museums in Berlin, and which was established in the second half of the 19th century in order to “create a sanctuary for art and science” in the capital of the then newly established German Empire. 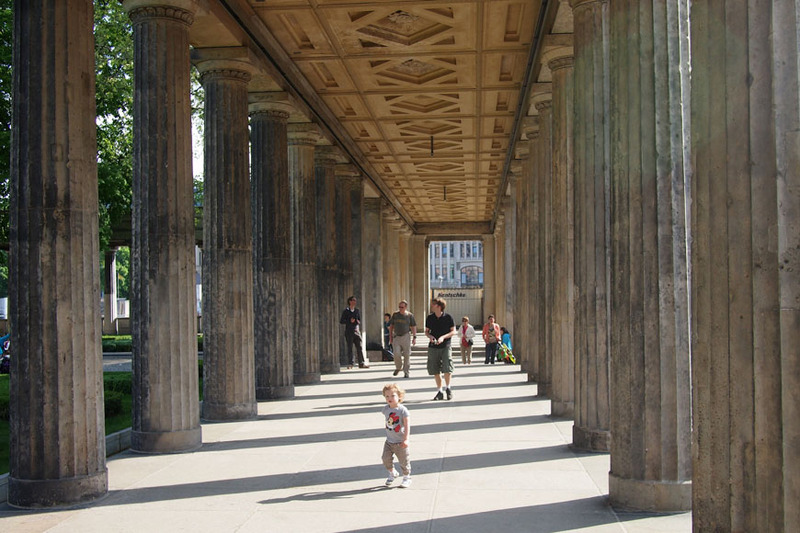 Located in the Museuminsel cultural district, the museum’s home is a neoclassical building designed by architect Friedrich August Stüler to resemble a Greek temple. 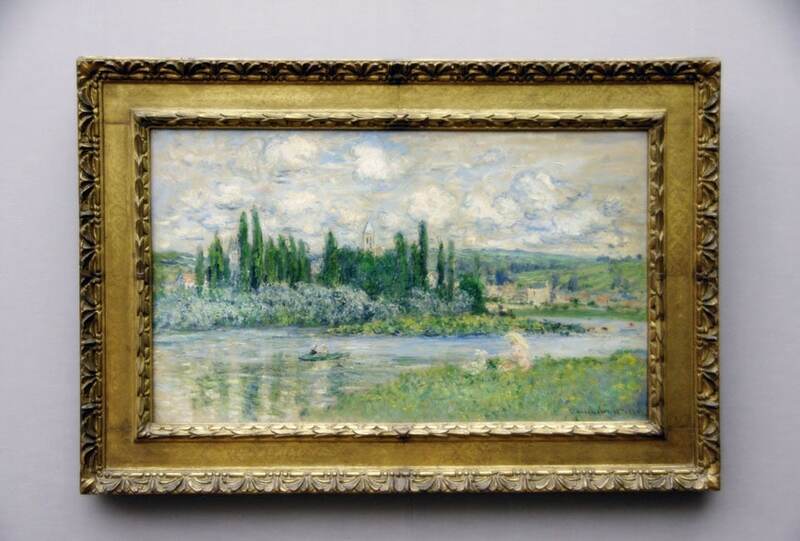 The museum was badly damaged during World War II. 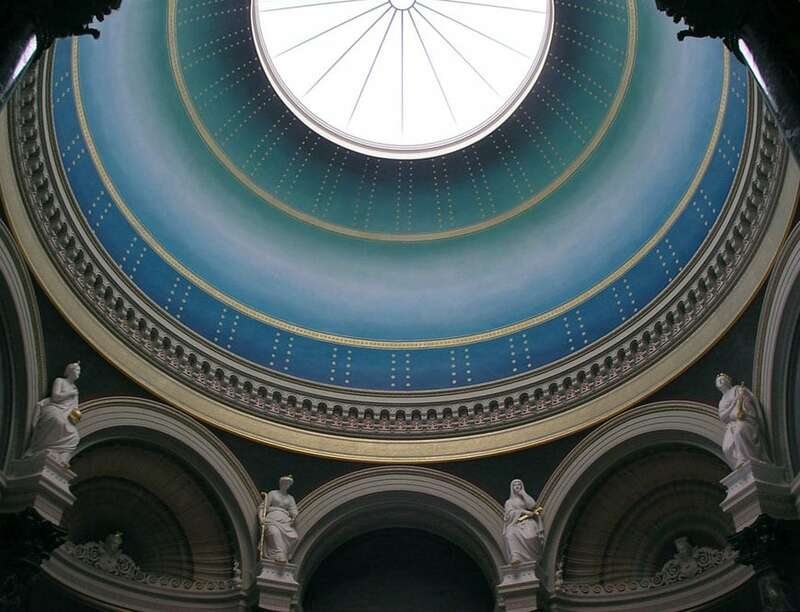 Partially restored and re-opened in 1949, the building underwent a major renovation in 2001. 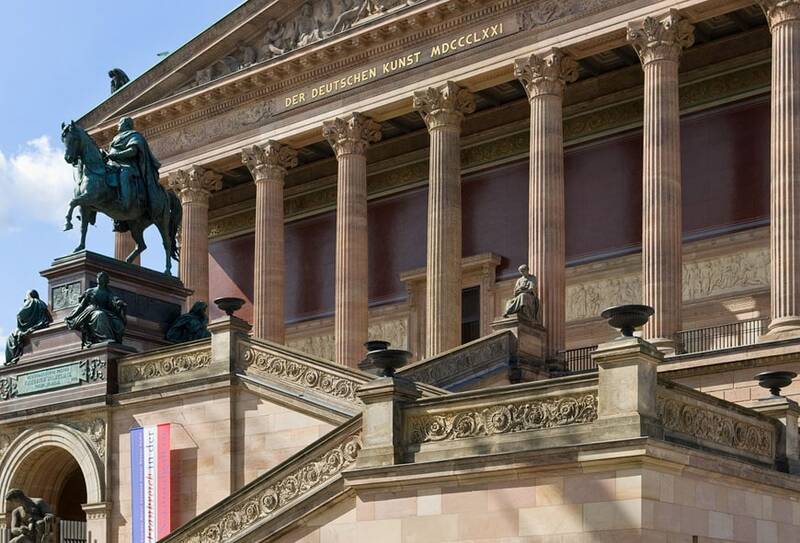 Possibly due to the imposing, vaguely intimidating, architecture, the Alte Nationalgalerie was selected by Alfred Hitchcock as filming location for his 1966 thriller movie Torn Curtain. 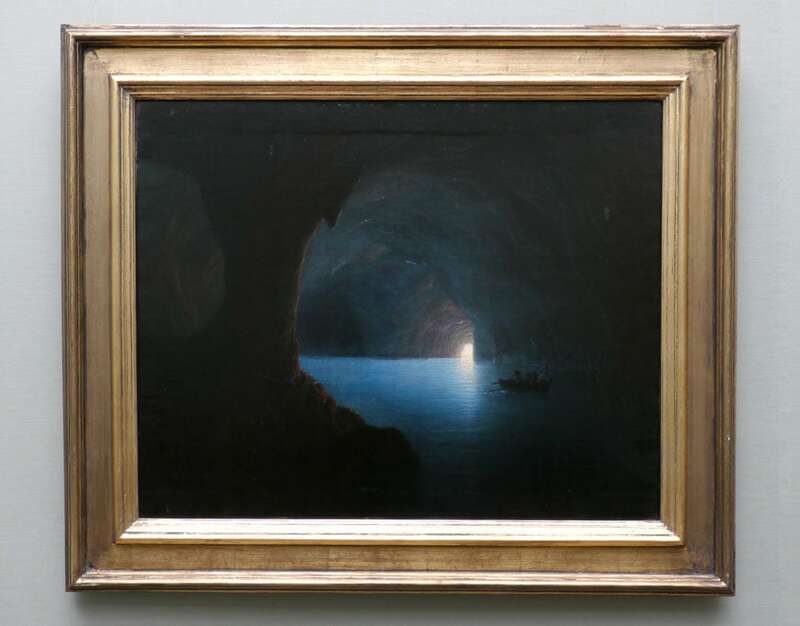 Encompassing some 1,800 paintings and 1,500 sculptures, the permanent collection of the Alte Nationalgalerie is focused on figurative art of the 19th century, with a particular attention to German and international Romanticism and Impressionism, and includes works by Caspar David Friedrich, Karl Friedrich Schinkel, Gottlieb Schick, Arnold Böcklin, Adolph Menzel, John Constable, Gustave Courbet, Francesco Hayez, Paul Cézanne, Édouard Manet, and Claude Monet, among others. 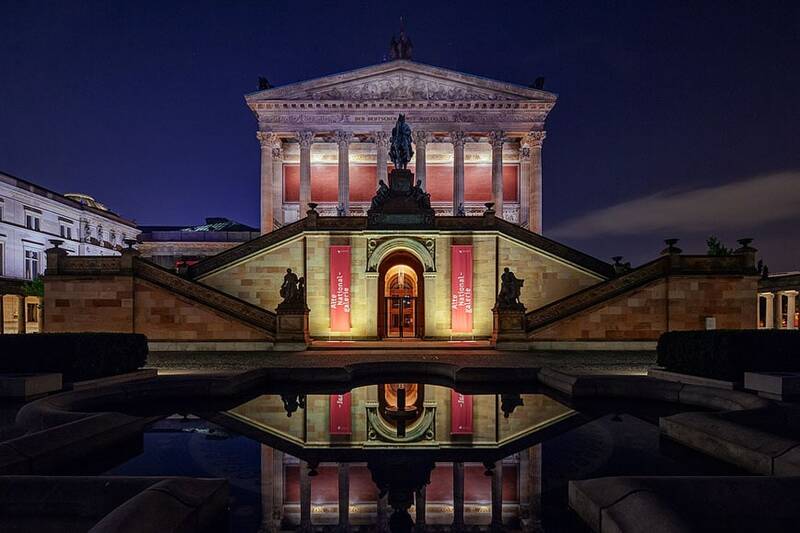 The Alte Nationalgalerie also organizes temporary exhibitions, educational programs for adults and children, and special events. The museum’s building also accommodates a 35,000-volume reference library, a cafeteria, and a gift shop.